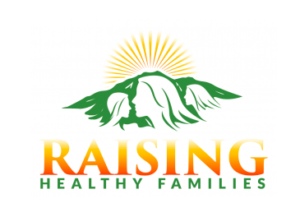 If you know of great parenting resources, workshops or experts in our community, please let us know! Adolescence is an emotionally challenging period for kids and parents alike. Embodied resilience, that is, being aware of one’s own and others’ internal / non-verbal body signals strengthens our ability to access internal resources. Shai Lavie, MA, LMFT, works with adults, adolescents, and families in private practice in San Anselmo. He received his Master’s Degree in Counseling Psychology from the California Institute of Integral Studies in 1995. Shai is certified in the Hakomi Method of mindfulness-based psychotherapy, and a Certified Hakomi Trainer on the faculty of the Hakomi Institute of California. He is certified in the Somatic Experiencing method of working with trauma, developed by Peter Levine. Admissions is free, and attendees must register in advance at www.cipmarin.org or by calling (415) 459-5999, ext. 101. The Marin County Office of Education and Marin County SELPA are excited to announce an evening with Daniel Patterson. Daniel is the author of “The Assertive Parent: Hacks, Traps, and Strategies for Raising Authentic Teens.” He will share strategies and resources to support families with developing healthy, sustainable homes that promote communication, mental wellness, and success. This is an adults-only event. The presentation is designed to support parents and caregivers of teens. Registration is required for this free event. You can register here. Courageous Conversations with Dr. Lori Watson. Dr. Watson is a transformation specialist with Pacific Education Group and has been working with educators across Marin’s public and private schools to look intensely, both personally and professionally, at race, racism and how we are educating all students. We invite you to join us in this two hour version of Courageous Conversations to better understand the work that we have been engaged in on behalf of our students and professional practice.